Elegant Celtic cross pendant with trinity knot detail. 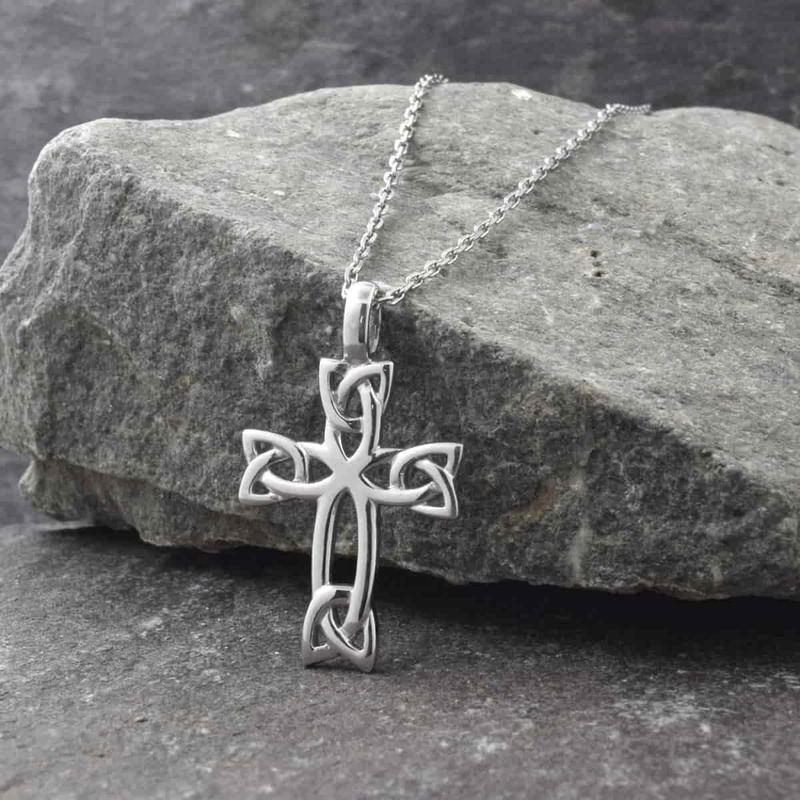 Measuring 25mm high and 15mm wide (including bale) and fitted with an 18″ sterling silver chain, this beautiful Celtic cross is handcrafted in Dublin in 92.5% sterling silver and hallmarked at the Irish Assay Office in Dublin Castle. The cross features an elegant trinity knot design. The Triquetra predates Christianity and was the Celtic symbol of the Goddess Odin. The symbol decorates our illuminated manuscripts such as The Book of Kells and is found on Celtic crosses and Celtic stones all around the country. The Trinity Knot has been adopted from ancient Celtic art by Christianity as a symbol of the Holy Trinity; Father, Son & Holy Spirit. To the Celts it is believed to have meant many things; mind, body, spirit; earth, sea and sky and beginning, middle and end – continuity.